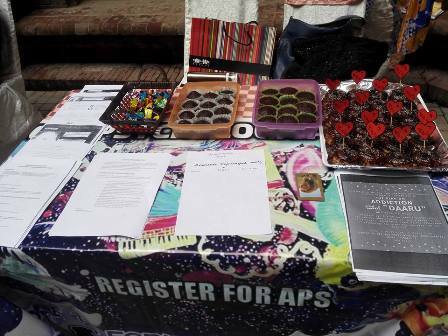 Armacost Psychological Society successfully arranged a stall at the societies fair held on Monday 31 July 2017. Freshmen students were greeted with extreme enthusiasm and a very warm welcome by their seniors. The APS team discussed about the society and its aims, which is to serve as an informative platform and provide every student the opportunity to understand all kinds of psychological concepts through seminars and presentations. 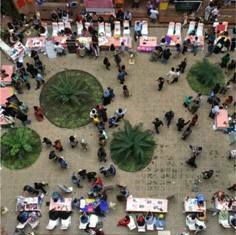 The freshmen were briefed about Psychology as a subjects and the objectives of the society. 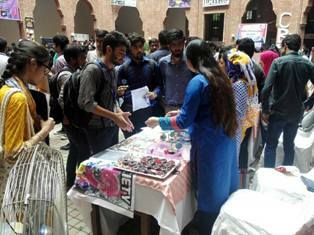 Various students registered at the stall to become a part of the society and asked questions regarding their concerns. 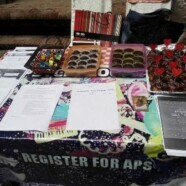 Our stall was decorated with tons of psychological quotations that added to the ambience. APS organized an interesting game of memory. Another exhilarating game added to the stall was of colourful balloons that the freshmen were asked to aim and shoot at. Whoever managed to burst the balloons were given delicious chocolate cupcakes and doughnuts that were absolutely mouthwatering. Lastly, Pin the P of Psychology was another creative attempt of the team to test students ability to pin alphabets blindfoldedly. It was a memorable beginning of Forman Experience.